Man made suede, rubber sole, Zipper closure, adjustable buckle straps, knitted (Sweater) calf. 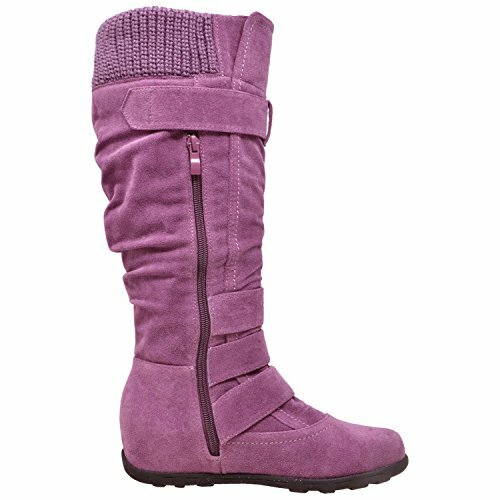 Generation Y boots are made with additional cushion for comfort. 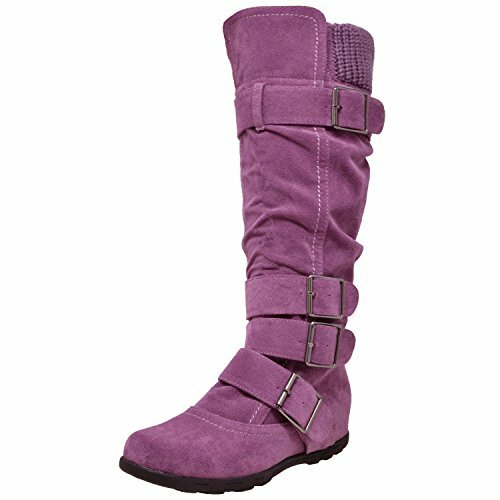 Boot height- 15.5 in approx; Boot opening- 17 in, Wrapped Wedge Heel: 1.25 inches approx, Platform: 0.4 inche approx. US Women Size Measured Approx. HEEL-TO-TOE LENGTH: Size 5 = 9.13 IN, Size 6 = 9.45 IN, Size 7 = 9.76 IN, Size 7.5 = 9.92 IN, Size 8 = 10.08 IN, Size 8.5 = 10.24 IN, Size 9 = 10.40 IN, Size 10 = 10.75 IN, Size 11=11.07 IN. Available in Black, Navy Blue, Gray, Charcoal, Taupe, Burgundy, Camel, Royal Blue and Olive Green. 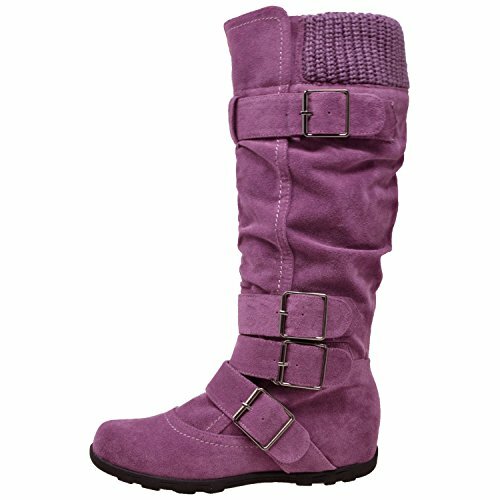 Suede 233 Buckles Calf Lilac Rubber Boots Y Ruched Generation High Sole GY WB Mid Knitted Women's Calf Knee Environment . . .